You don't have to pause your podcast, rewind, go to another app or notebook. One tap will save the last 30 seconds in audio and text. 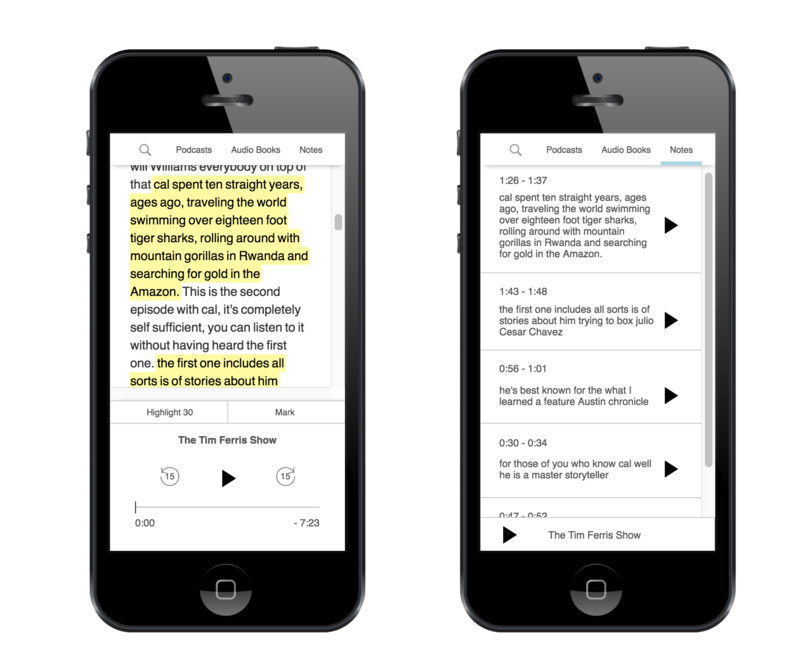 Saves audio in text so you can review your important information later with out having to re-listen to the podcast. Syncs with Evernote or Dropbox for safe storage, automatic organization, and easy retrieval and review. Be one of the first to use! Our mission is to make podcasts and audio books as easy to learn from as possible. We have felt the pain of hearing important information in a car or on the run, and not being able to take a note. Based in New York, we can't wait to help you learn more from your listening experience.